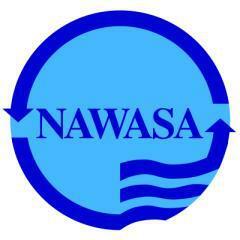 From 21 May 21 to 31August 2013, the National Water and Sewerage Authority (NAWASA) will invest $540,000 on the upgrading of the network of transmission main and raw water lines from the St. Hillair Water Tank in Grand Bras, St. Andrew. By completion, the project would include the installation of seven thousand five hundred (7,500) ft. of six (6) inch ductile iron pipeline. Beneficiaries are from the communities of Grand Bras, Gladstone Road, St. Mary’s Road, Sendall Street, Soubise and surrounding communities. NAWASA’s Chief Engineer Mr. Nigel Lowe appealed to consumers to continue their precautionary measures with regard to water storage, as it is anticipated there will be some inconvenience particularly intermittent interruption in water supply and traffic delays in area of work. NAWASA is pleased to be able to work with the Ministry of Social Development and Housing on this project, as it presents another opportunity to continue the organisations’ contribution to the development of our communities and nation.